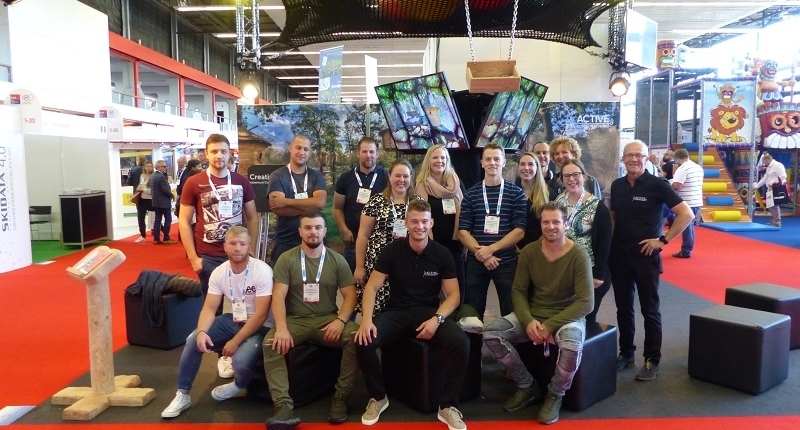 Euro Attractions Show 2018 – what a week! 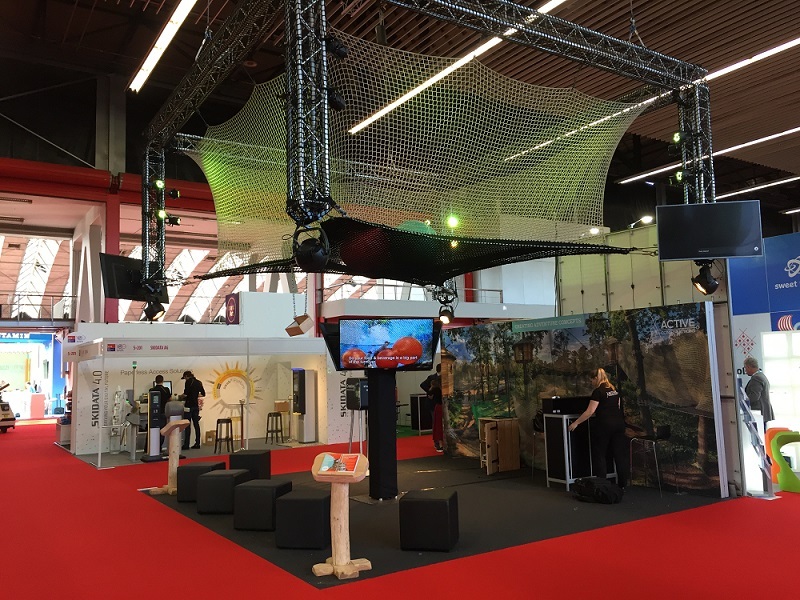 With the show being hosted in Amsterdam, we created a large stand with a bounce net above it to replicate our net adventures. We showed our brand new video and had a photo booth! 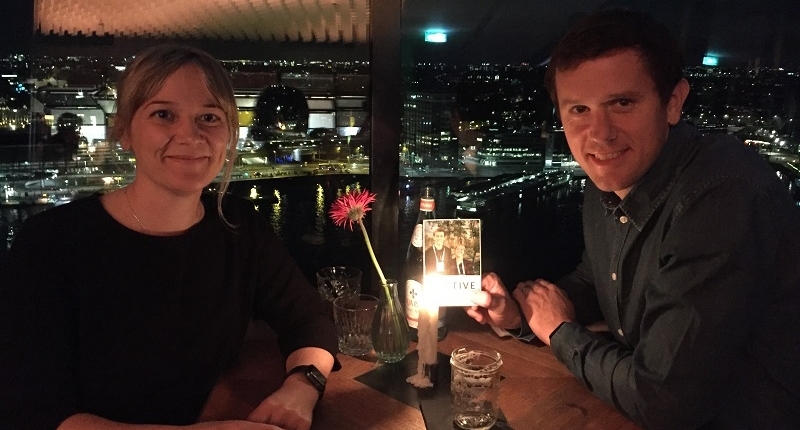 Visitors were able to take a picture and win dinner vouchers to the A’dam Tower in Amsterdam. The show itself was interesting with many visitors getting attracted by our stand. We had some good talks with potential clients as well as our existing partners and are eager to expand our market worldwide. The whole Active Constructions team visited the show! 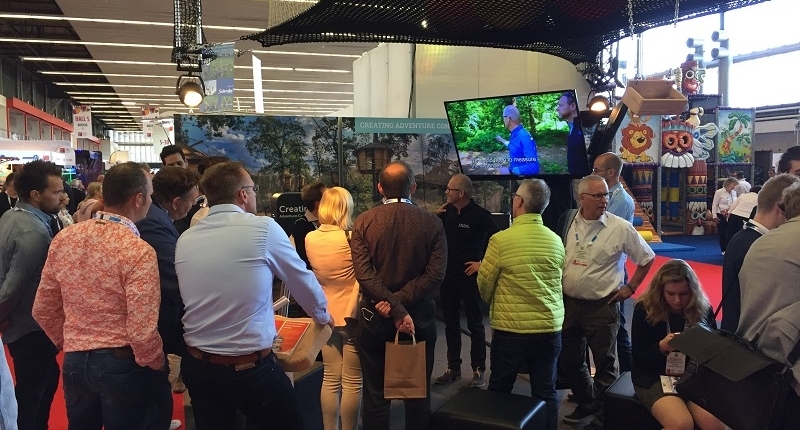 Seeing as Amsterdam is only 30 minutes away from our office, everyone was able to walk around the show floor, explore new products and of course, have some fun! Each show day, we gave away two dinner vouchers for the A’dam Tower. Our lucky winners were from Sweden, Ireland and the Netherlands. The A’dam Tower provides visitors with a panorama view over Amsterdam on the 20th floor. We hope you enjoyed the dinners! 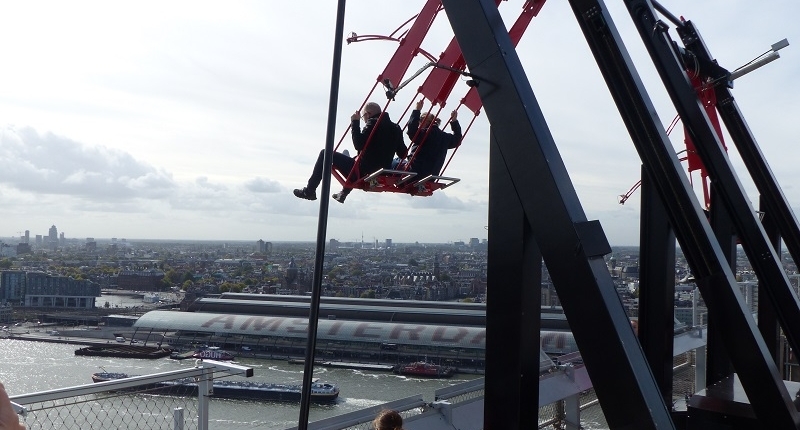 We developed a program around the show, taking our partners to the A’dam Tower, This is Holland, a large swing on top of the A’dam Tower, the Eye Film Museum and a traditional Dutch brewery. It is always interesting to see what the Euro Attractions Show has to bring. We are always curious to find out which new innovations occur and what the market has to offer in terms of our own adventure concepts. This year, it seemed as if not a lot had changed compared to the year before. Virtual Reality still plays a massive factor on the show floor, but the role that adventure parks play is getting bigger. Although the show always lives up to its expectations, we are curious to see what the show has to bring next year. See you in Paris in 2019!